I frequent my local Target often as it’s my go-to store for all household essentials. What I love most about shopping there is all the fun novelty items that I stumble upon around the holidays. 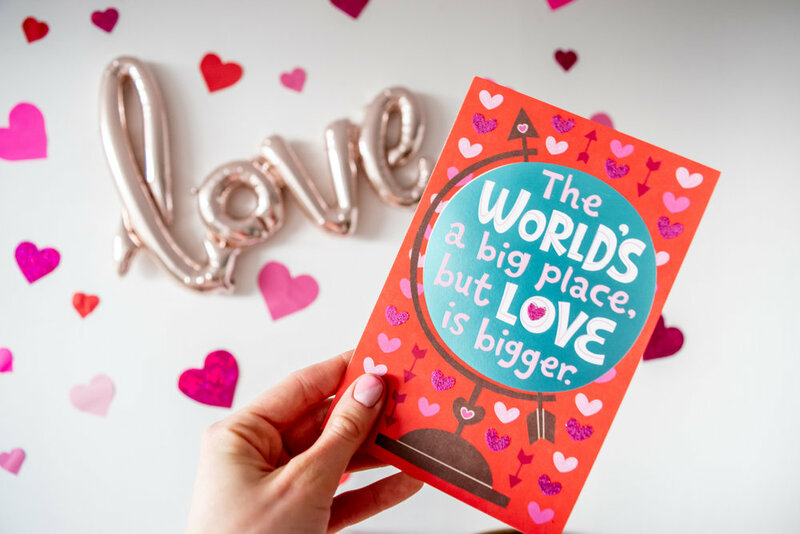 Next up is Valentine’s Day and when I walked into Target last week, the first thing I saw was a huge section of American Greetings Valentine’s Day cards. I thought, ooooh how perfect! I could stock up on all the cards I needed with their great selection. I find that American Greetings Valentine’s Day cards are so clever in how they get the message of love across. I also care a great deal about the design of a card. I’m totally that person who lingers in the card aisle reading every single one till I find the one that is just right for the specific person I have in mind. 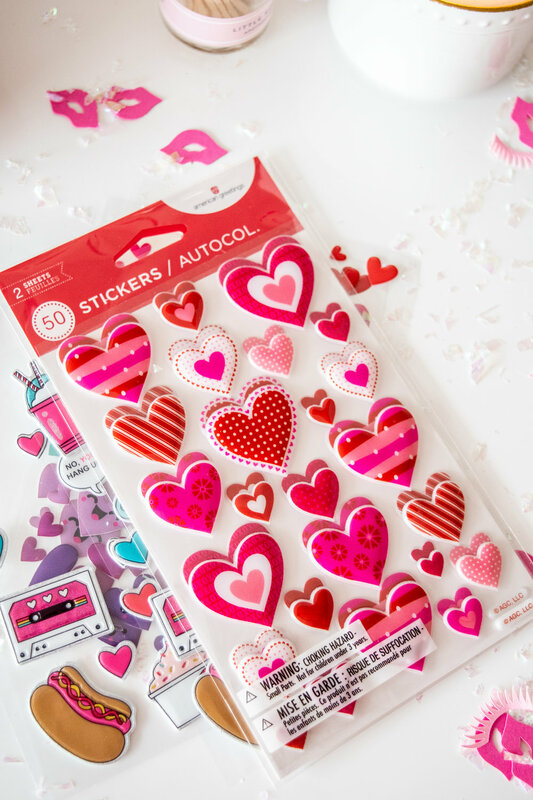 Luckily at Target, they organize their American Greetings Valentine’s Day cards in a way that makes it so easy to shop for all of your loved ones. This year, I noticed they had an entire section dedicated to Galentine’s Day which I loved because I have so many special girls in my life. I bought each and every one of them a special card! And I got 20% off my purchase with this special promotion on Cartwheel. I went a little overboard with the cards that I chose. There were too many good ones to narrow it down, so I thought I could turn this into a little card writing celebration for my Little Miss Party Galentines. We set aside time to get together as a team to write cards to our loved ones, snack on cookies and sip on red wine. It was the perfect little celebration. I made the dining room table look festive with confetti, I lit some candles to make it feel extra cozy on such a cold day, I piled up heart-shaped cookies to snack on and I uncorked a bottle of red wine. I even took it a step further and decorated with the wall with a “love” balloon and hearts that I cut out of pretty paper. Since our entire Little Miss Party squad has sisters, I thought it would be a nice touch to print out photos of all our sister duos. 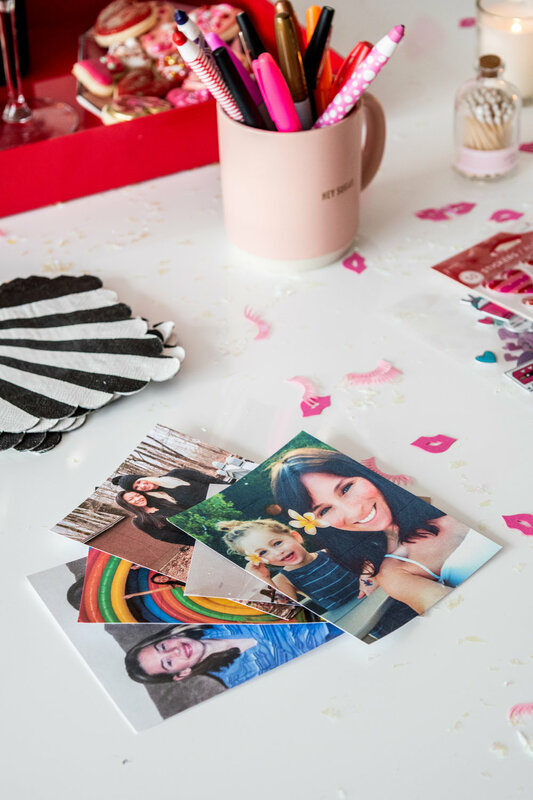 The girls used the photos in their cards as a special surprise to their favorite Galentine. I attached my photos with the festive heart stickers that I also found in the American Greetings card section at Target. Before writing a card to my sister, I started with my niece Dylan. I miss her every day and love her so much. I know she’s going to be so excited when my Valentine’s Day card arrives in the mail. Then I got to my sister's card, and I was stuck on what to write. I looked up American Greeting’s ‘What to Write’ page, and it was so helpful in finding the perfect wording to express my love for my sister in a card. Once we all finished our cards, it was time to drop them into the mailbox and wait for everyone to receive them. I can hardly wait!